Remember the $6.5 Million Dollar Photo? A little while ago, we wrote about the biggest sale price ever achieved for a photograph. 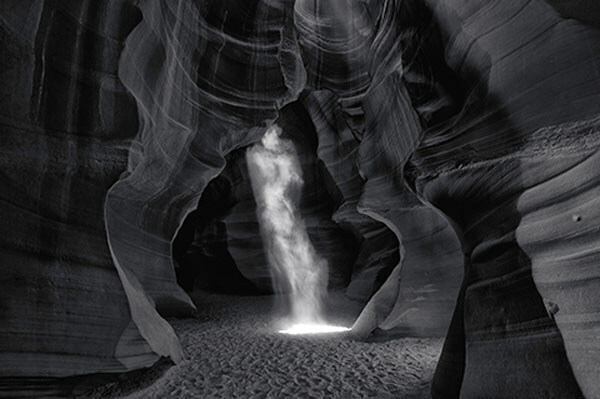 The photograph, Phantom by Peter Lik, reportedly sold for $6.5 million dollars, blowing away any other possible contenders for the title. Naturally, the art world went a bit bananas about it, and social media was even worse (though that shouldn't really surprise anyone, at this stage of the game. We expressed a few reservations about the closed-door nature of the sale, which meant that not only was the buyer's name not released, the private sale didn't offer any way to verify this sale price. It may be that those reservations were well founded. According to a recent article by the New York Times, the entire thing may simply be a clever usage of the media and their readiness to trumpet astonishing headlines. There is little doubt that the sale actually took place, but it's hardly fair to compare it to the works of the previous record holders, Andreas Gursky and Cindy Sherman, who garned $4.3 and $3.9 million respectively in 2011, both of which were sold in full view of the public in a traditional auction setting. Speaking to the New York Times about Phantom and the sale headlines, Michael Hoppen, a London gallery owner, said, "It’s an abomination. Art, whatever the medium, is something that moves and informs you or changes your opinion. This has nothing to do with art or creative photography, and the tragedy is that it brings the whole business down." He may very well have a point. Lik has apparently been frustrated by his lack of critical acclaim, despite being one of - if not the - most financially successful fine art photographers in the world. Art critics are rarely swayed by money, priding themselves on the quality and impact of the art itself, as Hoppen described. But on the other hand, Lik's narrative that the elitist art world has shut him out directly due to his mass appeal may also have some merit. Phantom certainly is a beautiful photograph, that cannot be denied - but is it really $6.5 million USD worth of beautiful? Lik and at least one other person certainly seem to think so, but is it really worth that much? That, dear reader, is up to you.